But first let me just explain what silicon MEMS (abbreviated to Si-MEMS) actually means and why it’s being increasingly seen as the future for piezo printheads. The use of silicon as a base for developing powerful computer chips, memory and other electronic devices has revolutionised industry and our lives. These devices are made by the diffusion and coating of materials in layers at extremely high resolutions. MEMS technology is making structures in and on silicon using similar techniques. This involves etching as well as depositing materials. Over the past decade or so etching techniques have become much better, faster and cheaper, making the mass production of MEMS devices viable. The technology is used for a very wide range of applications, and one of those is in ink jet printheads. Thermal or bubble jet heads can be considered MEMS devices in that physical processing is often required in the manufacturing process, and Memjet takes the process much further by building CMOS circuitry with the actuator structure on top. But the other term often heard in conjunction with Si-MEMS is thin film piezo, and they go hand in hand. Si-MEMS allows a printhead manufacturer to make actuator chambers and ink passageways at a finer scale than previous techniques. The material is much stiffer too, so that the walls between chambers can be made thinner. Unfortunately as the chamber dimensions are reduced, you need to make a thinner and more flexible piezo actuator layer to flex into the chamber to displace a drop from the nozzle. Until recently ink jet devices used bulk piezo, made from wafers of the material. Thick film deposition of piezo has also been used, forming layers around 20 microns thick. For the use in Si-MEMS devices much thinner coatings are used, with piezo layers 2-5 microns thick on top of flexible diaphragm layers only half that. Although later to the game than some of their competitors, Xaar has taken the opportunity to use the latest technology internally. For instance the connection technology used is state of the art. They have also focussed on producing a design that is easy to implement. The head has alignment features to allow easy replacement, with the final nozzle alignment taking place in software. As the head covers a wide width there are fewer ink and electrical connections reducing costs and complexity. The Z shape enables printheads to be assembled in wide arrays with stitching also taken care of by software. 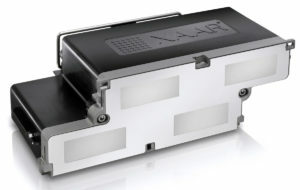 The heads are also reasonably narrow in width, so stacking heads together for a full colour system will be compact – Xaar claims only 200 mm for 4 colours. The printhead has been designed with a high drop velocity – a figure of 9 metres per second was quoted at the press conference but I understand higher velocities are possible. This should allow wider spacing between printhead and substrates while maintaining print quality. Drop placement accuracy will also be high – Ramon Borrell, CTO of Xaar, stated they were achieving 3 sigma within 5 micron at 1 mm spacing. Xaar aims to be manufacturing the printhead at the end of 2016 with the first product – a textile press – appearing mid-2017. A version capable of handling UV-curable inks is due in September this year, and some manufacturers will be adopting the printhead for 3D printing with a major vendor launch in 2017. Xaar is out-sourcing the silicon MEMS manufacturing, focussing on final module assembly and testing, so won’t be investing in expensive silicon fab facilities. 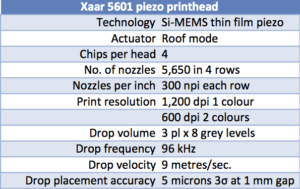 So, will the Xaar 5601 printhead family succeed? It does seem to tick all the right boxes for high quality ink jet printing at speed. In terms of linear speed and print resolution it is up there with the Fujifilm Dimatix Samba and Kyocera printheads, while being easier to integrate into a process. Landa Digital claimed 300 metres/minute with Samba printheads but like others this is achieved by doubling up the printheads, which Xaar could also do. HP is running web presses at 120 metres in ‘quality’ mode, but their claimed 2,400 nozzles per inch is actually 1,200 dpi with 2 nozzles in line to get 4 grey levels. So far pretty much all of the pre-announcements of digital press technology at this year’s Drupa trade show are similar to those made in 2012. So what have the industry suppliers been doing for the past 4 years? Back in 2012 many ‘launches’ were, in reality, technology demonstrations. There is nothing new about this; I’ve seen the same thing since the first Drupa I attended in the 1980’s. At the last show the big story was Landa Digital’s Nanography. A few print samples were shown, demonstrating potential for the process but far from saleable print quality. This year Landa is back with what should be machines close to being ready for sale. The same goes for Xeikon, who demonstrated their liquid toner press in 2012. This year we are promised a full colour version. 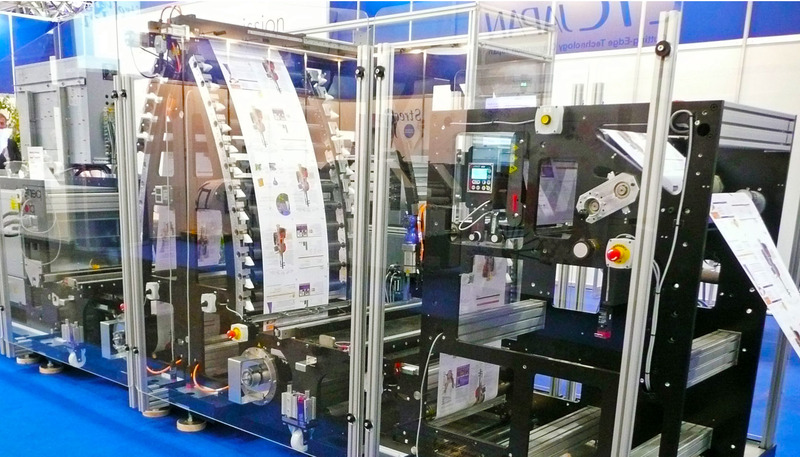 And there are many other examples of this: demonstration at one Drupa, commercialisation at the next. At the last Drupa, potential customers will have made comments on what they liked or didn’t like about a press. This feedback may provoke extensive revision of a machine. As an example, we know from Landa Digital that the large touch screen controls on the side of the presses were not liked, and the panel is now more conventional, and at the delivery end of the machines. Building an ink jet press is relatively straightforward. You just source ink jet printheads and ink and most of the job is done! Well, there are still a few people who think that way, but most have learnt that the reality is very different. There are a wide range of areas requiring careful design and development, such as head mounting and alignment, nozzle maintenance, ink supply, data paths, drying or curing… the list is long. If the process involves fundamental new technology, like the Landa Nanoinks and intermediate transfer belts, they don’t develop themselves either, but require considerable work. There are many other issues that are special or critical for high-speed single pass printing too, but I’m saving that for a later blog. As demonstrations for a Drupa show come closer and closer corners are cut to get everything working. After the show a major ‘post mortem’ takes place. Are we using the best technology now? With hindsight what would we do differently? What changes should we make to meet the manufacturing cost budget? Now we are aware of the competition what changes should be made to remain competitive? I’d like to point out that the engineers don’t get 4 straight years to do these redesigns and developments. 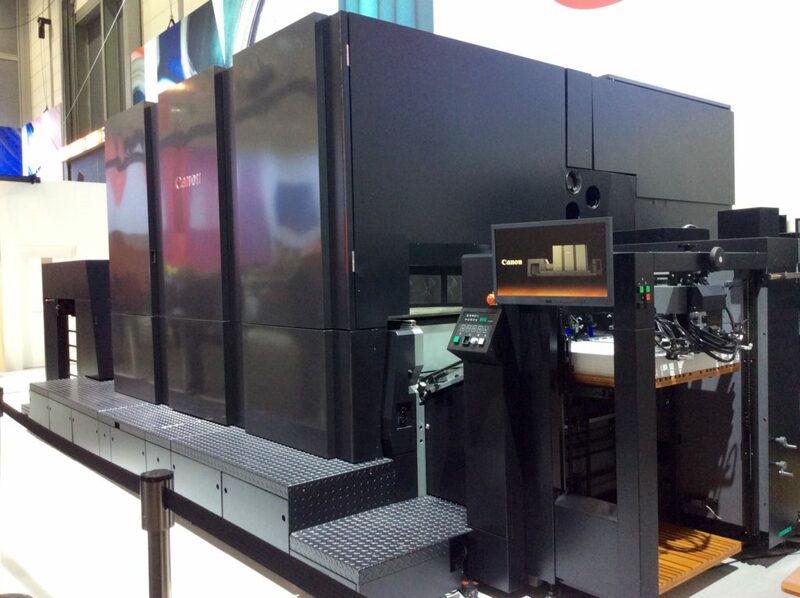 Ideally it’s much better to get to the next Drupa having been through beta testing at selected customer sites and to have made further revisions in the light of operational experience. So allow perhaps a year for this and we are down to 3 years. So a development engineer’s job is pretty tough. And it’s going to get worse. The next Drupa is 3 years away, not 4. So if you meet an ink jet development engineer at the upcoming Drupa be sympathetic!